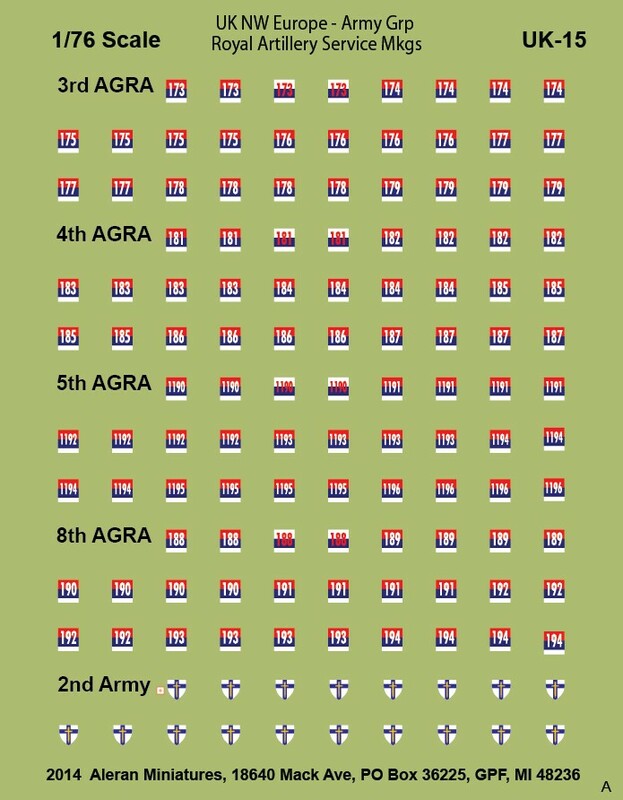 This sheet provides markings for the 3rd, 4th, 5th and 8th Army Group Royal Artillery (AGRA) Service marking in the NW European campaign. Also included are the 2nd Army insignias. Information for these markings comes from 'The British Soldier', vol 2, by J. Bouchery.